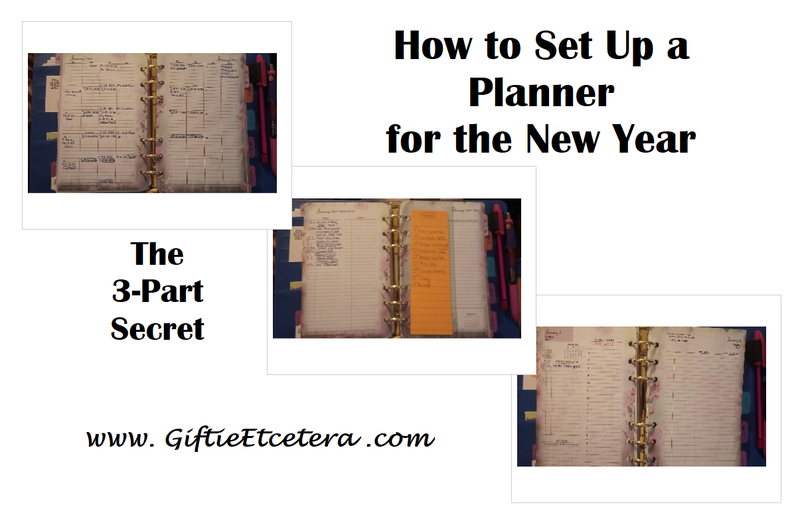 Since I moved from Original FC compact pages to Blooms this year, it seemed a great time to change how I plan just a tiny bit, to address some planner struggles that I've been dealing with. TIP: Keep what is working in your planning. Replace what is not effective. One of my biggest problems is that, without weeklies, I have no place to really have a running task list. But Blooms have a place for a monthly task list. So I decided to take advantage of it. The calendar contains dates of appointments or major due dates. The monthly tasks list contains tasks to do in January, with a running task list on my page marker for things that may be done without a true timeline, but must be done. Finally, the dailies will be used exactly as I always have used them. The trick is that I am still putting tasks for doing on a certain date on the dailies. However, ALL other tasks go on the monthly list unless I transfer them over to my dailies. If I didn't do it that way, I'd never look at the monthly task list! If you decide to do this, don't forget to use a page marker on all three pages. And use them every day! Kristy, it's so good to see a post from you. I know you've been busy (judging from you last post) and completely understand. But planner posts such as yours are so few and far between. All I see lately are setups, decorating, reviews and unboxing. I really long for tried and true effective and functional ways to use your planner, which is what you always offer up. Great to see a new post from you, Kristy!